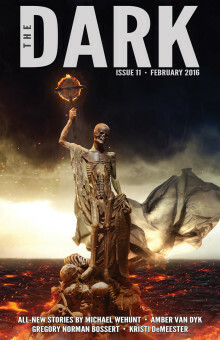 Editors Jack Fisher and Sean Wallace have released The Dark #11 (February 2016), their quarterly magazine of horror and dark fantasy. Each issue of The Dark is also available in epub and mobi editions. This entry was posted in Like Show Business and tagged Jack Fisher, Sean Wallace, The Dark by Mike Glyer. Bookmark the permalink. The links to the podcast were broken, my fault, but they have been fixed.